Matt Black, former Derbyshire Poet Laureate, wrote the following poem for us to celebrate our 40 years of dancing in 2015. 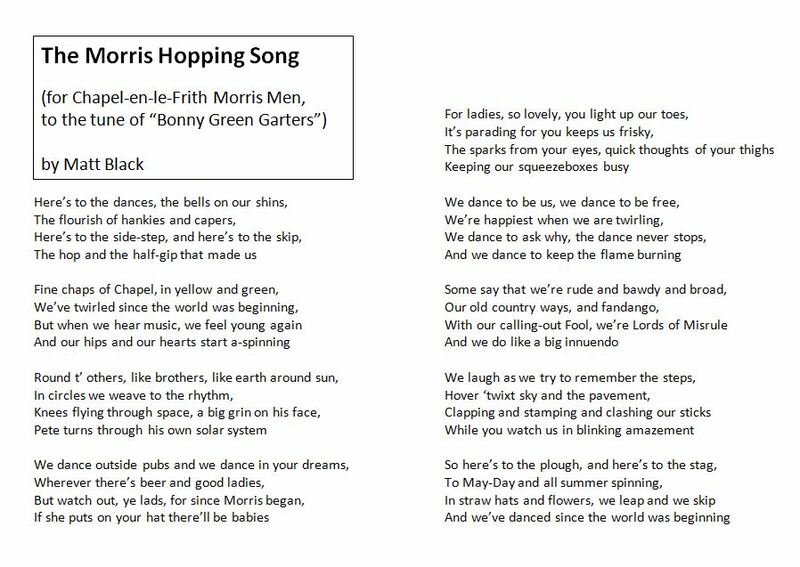 The poem’s inspirartion is the rhythm and tune of the Morris Men’s traditional farewell dance, Bonnie Green Garters. Matt visited us on Leap Day 2016 to formally launch the poem and invited us to sing it to him. Unfortunately we’re not singers, but we did our best! And we got our own back by inviting Matt into the dance.